Most people are under the impression that if food is past its due date it will appear slimy and smell or have an unusual taste. However, that is not the case as none of these things are true of the harmful bacteria that can cause illness. Observing food safety regulations is the key to any successful food handling business; establishments can be damaged irreparably by food poisoning. 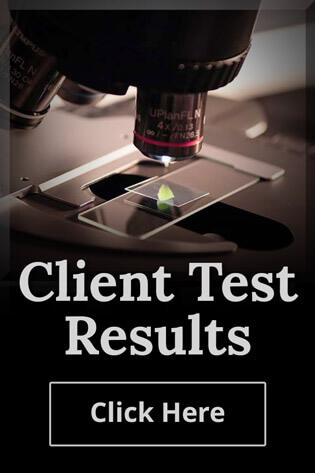 A food-testing lab such as Alliance Analytical Laboratories in Coopersville, MI will ensure that all of your practices are up to code. The Food Handling Basics set by the USDA are broken down into 4 simple steps. Personal hygiene is important, not just washing your hands but also clean clothes and nails, etc. Cleaning also includes the cleaning of surfaces with approved chemicals. Cross contamination is one of the most dangerous ways for bacteria to spread and cause illness. 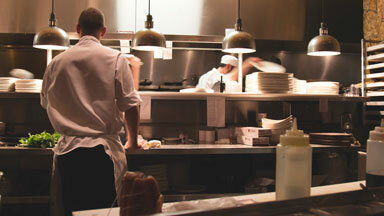 Separate preparation areas should be observed for cooked/raw foods and regular cleaning should occur. Observe temperature controls and follow the probing process to ensure that foods have been cooked to the correct temperature as set out in HACCP Food Safety regulations. Relevant foods should be refrigerated properly and at the correct temperature. This means perishable foods should be refrigerated within 2 hours, or 1 hour if the temperature is exceeding 90 degrees Fahrenheit (32.2 C). The refrigerator itself should be at or below 40 degrees Fahrenheit (4.4 C), and the freezer should be at or below 0 degrees Fahrenheit (-17.7 C). Most people don’t have to worry about death from food poisoning. It’s the most vulnerable among us that are at the greatest risk: children, the elderly and pregnant women. Food poisoning for those three types of people can result in death or miscarriage, which is why following USDA Food Safety is so important. The USDA provides a handy guide on Food Handling Basics, which provides a “cheat sheet” of all of the relevant storage and cooking temperatures. You could easily hang this on the wall as a reminder for employees. It also includes numbers to call for further advice should you need it. You’ll also find a chart here with advice on how long food products can be stored in the fridge/freezer, as well as what food items should not be stored in the freezer at all. Health Inspectors do regular checks and part of their process is taking samples for food testing. These samples are sent to the food testing lab to check for any microbial or chemical presences which could lead to food borne illness. While they will not always take a sample, they may do so if your record keeping has fallen down in the HACCP process, or if they have found something that gives them cause for concern. The food service industry has a responsibility to the general public to follow these regulations to the letter, to ensure that people can continue enjoying their favorite products without fear of harm being done to them by careless handling.